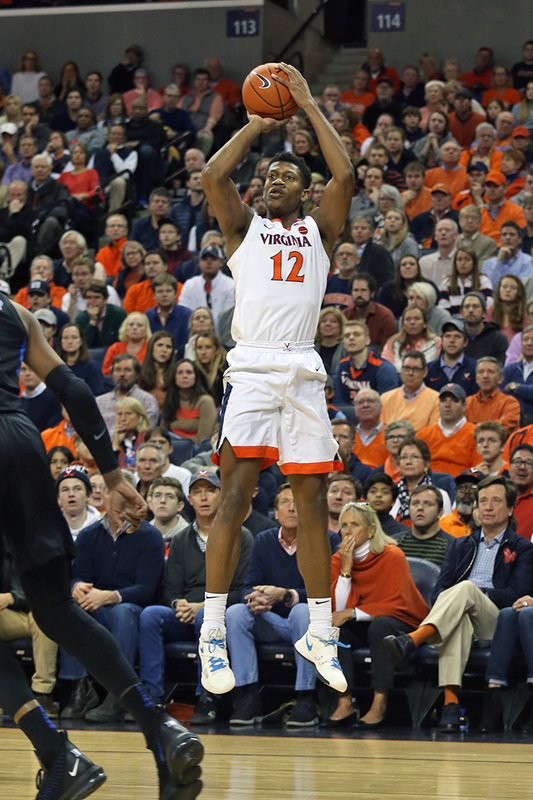 The Virginia basketball team fell behind early and spent the rest of the night grinding back into striking distance on the scoreboard, but Duke had an answer every time the Hoos made a move. The Blue Devils eventually won 81-71, while shooting well above their season average from 3-point range. The Double Bonus is back for a closer look. The 3-point shooting from both teams proved to be a complete flip from the first meeting in Durham, but Duke’s night was mind-numbing. The visitors made their first five triples, 8 of 11 in the first half, and 13 of 21 overall. That’s an impressive 61.9% and miles ahead of their now season-long 32%. With that said, I counted 11 of Duke’s 3-pointers as uncontested (3) or semi-contested (8) shots. Even factoring in the game plan to jam the lane and make the Devils make jumpers, that’s a lot of rhythm looks to give a high level team.